When turmoil strikes world monetary and financial markets, leaders invariably call for 'a new Bretton Woods' to prevent catastrophic economic disorder and defuse political conflict. The name of the remote New Hampshire town has become shorthand for enlightened globalization. 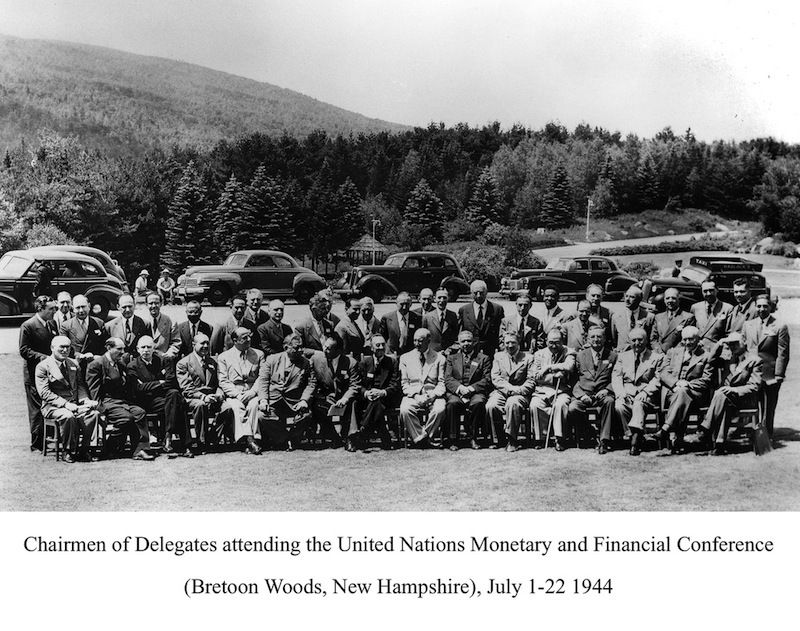 On July 22, 1944, as allied troops were racing across Normandy to liberate Paris, representatives of 44 nations meeting at the Mount Washington resort in Bretton Woods, New Hampshire, created a financial and monetary system for the postwar era. It had taken three weeks of exhausting diplomacy. At the closing banquet, the assembled delegates rose and sang “For He’s a Jolly Good Fellow.” The fellow in question was John Maynard Keynes, leader of the British delegation and intellectual inspiration of the Bretton Woods design. Lord Keynes, the world’s most celebrated economist, was playing a tricky dual role. He had proposed a radical new monetary system to free the world from the deflationary pressures that had caused and prolonged the Great Depression. Bretton Woods, he hoped, would be the international anchor for the suite of domestic measures that came to be known as Keynesian—the use of public spending to cure depression AND the regulation of financial markets to prevent downturns caused by failed private financial speculation. Yet in many respects, Bretton Woods was a rout for Keynes and the British. America today is often described as the sole surviving superpower, but in 1944 U.S. supremacy was towering. Germany and Japan were on the verge of ruin. Britain had gone massively into debt to prosecute the war, sacrificing more than a quarter of its national wealth. The Russians had lost tens of millions of soldiers and civilians. America was unscathed, its casualties were modest by comparison, it held most of the world’s financial reserves, and its industrial plant was mightier than ever. Though Keynes inspired Bretton Woods, the Americans won the day. As leverage, Keynes had only his own brilliance and a fast-fading appeal to Anglo-American wartime solidarity. In most matters, a rival design by Keynes’s American counterpart, Harry Dexter White, prevailed. White, a left-wing New Dealer serving as No. 2 man at the Treasury, shared Keynes’s basic views on money. But the White plan provided a far more modest fund and bank. Instead of the generous extension of wartime lend-lease aid that Keynes was promoting, the British had to settle for an American loan, to be repaid with interest. 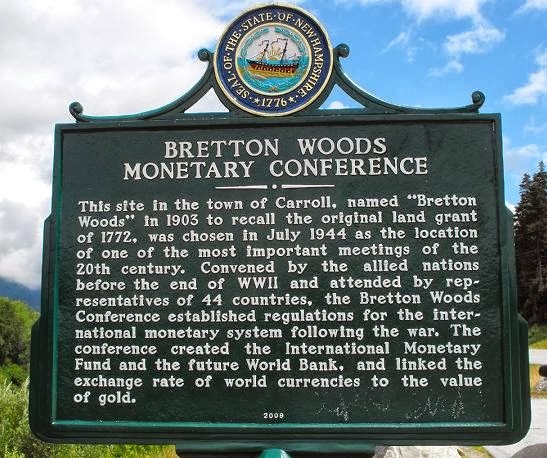 The Bretton Woods system was hailed as a vast improvement over both the rigid gold standard of pre-1914 and the monetary anarchy of the interwar period. For a quarter-century, Bretton Woods undergirded a rare period of steady growth, full employment, and financial stability. But in many respects, the vaunted role of the World Bank, the International Monetary Fund, and the Bretton Woods rules specifying fixed exchange rates was a convenient mirage. The system’s true anchor was the United States—the U.S. dollar as de facto global currency; the U.S. economy as the residual consumer market for other nations’ exports; and U.S. recovery aid in the form of the Marshall Plan, which dwarfed the outlays of the World Bank. The Bretton Woods system was the first example of a fully negotiated monetary order intended to govern monetary relations among independent nation-states. the International Bank for Reconstruction and Development (IBRD), which today is part of the World Bank Group. the ability of the IMF to bridge temporary imbalances of payments. Also, there was a need to address the lack of cooperation among other countries and to prevent competitive devaluation of the currencies as well. The United States, which controlled two thirds of the world's gold, had insisted that the Bretton Woods system rest on both gold and the US dollar. Soviet representatives attended the conference but later declined to ratify the final agreements, charging that the institutions they had created were "branches of Wall Street." These organizations became operational in 1945 after a sufficient number of countries had ratified the agreement. This action, referred to as the Nixon shock, created the situation in which the US dollar became a reserve currency used by many states. At the same time, many fixed currencies (such as the pound sterling, for example) also became free-floating. One need only read today’s headlines reporting a prolonged slump following a financial collapse; failed austerity policies in Europe; speculative attacks on Asian currencies creating bubbles followed by crashes; and worries about the future of the dollar. The ills of the interwar period have recurred in different form. So it is an opportune moment to revisit Bretton Woods and to consider whether the aspiration of a true international money system was ever realistic, economically or politically, and to inquire, in the spirit of the architects of Bretton Woods, what a superior system might look like today.